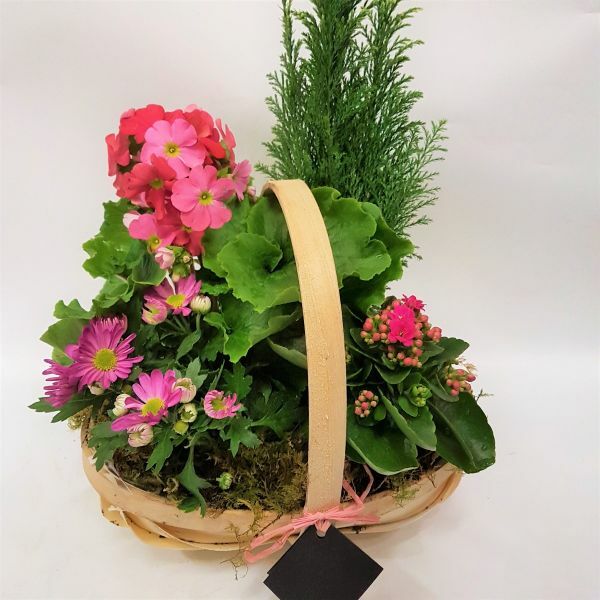 A pretty basket including seasonal plants. Combination shown includes a scented primula, chrysanthemum, kalanchoe and a soft green fir. Seasonal changes may occur.